Vacation every day! Twocould be threebedroom modular ranch on waterfront lot. Only a few years old and well kept, with fireplace, roomy kitchen, big bedrooms and baths, one with two showers! Well and septic already inspected and ready to go. 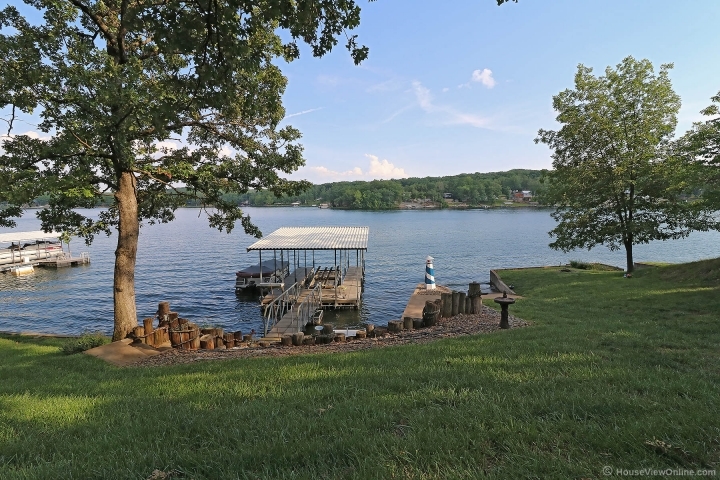 Scenic views from the deck overlooking Goose Creek lake, covered boat dock with lift, patio at water's edge, sturdy concrete seawall. Utility shed plus 22x35 detached garage/workshop. Well insulated with low utility bills. Lots of landscaping, pull through driveway, and much more. Goose Creek offers great fishing, community pool, recreation hall, picnic pavilions, and much more.